Until about half an hour ago, I admittedly was struggling to get that Christmassy feeling. But then I learnt some very happy news indeed. Daisy the mastiff cross – who once bore the mournful title of ‘Britain’s unluckiest rescue dog’ – has now left her days of loneliness behind, having finally found her forever home. The nine-year-old pooch first arrived at Battersea Dogs & Cats Home eight years ago. A very young dog at the time, lovely Daisy was snapped up like furry hot cakes; spending just 15 days at the shelter. However, when Daisy found herself back at Battersea at the age of nine, it was a much different story with prospective owners being far more reluctant to welcome an older dog into their home. Even after one hundred days at Battersea, not a single human had expressed interest in the sweet lady; despite her gentle nature and fondness for cuddles. Daisy’s tearjerking story went viral, with animal lovers far and wide expressing heartache at the plight of this beautiful, overlooked dog. And her story eventually reached her future family. Louise Daily and her two children, who live in the Hertfordshire countryside, were greatly moved by Daisy’s sad tale, and knew she was the perfect pet for them. 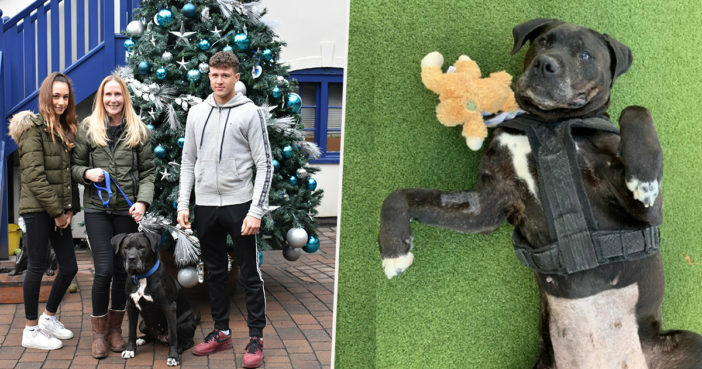 After 124 days at Battersea, Daisy was finally able to go home to a loving family. We first saw Daisy in an article about her being the unluckiest dog in the UK and couldn’t resist getting in touch with Battersea about her. We were looking for an older dog to adopt and love larger breeds, so she sounded perfect for us. We’re so happy to have found her and to be able to welcome her into our family before Christmas. Daisy is a lovely, calm and affectionate girl and settled in straight away. We’re looking forward to our first Christmas with her. 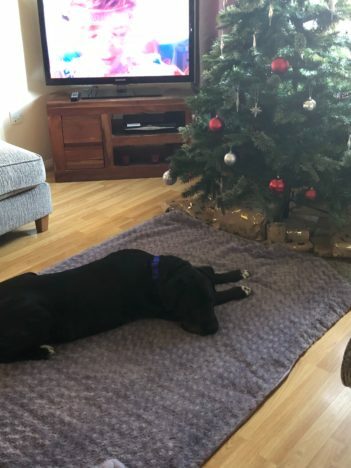 We’re all over the moon that Daisy has found a home in time for Christmas and will be able to enjoy the festive season with her new family enjoying endless cuddles and tummy tickles. 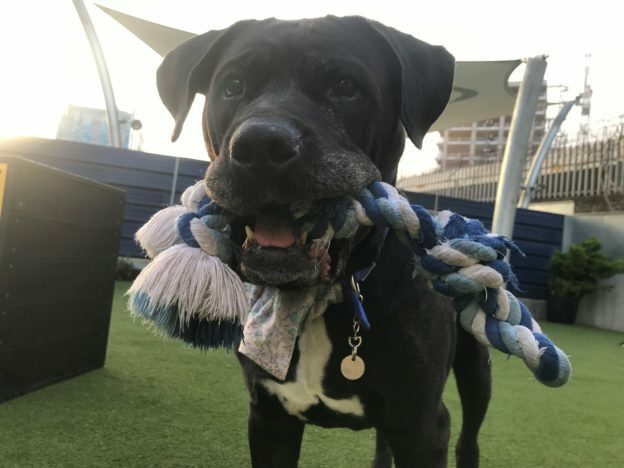 It’s can be so difficult to find homes for older dogs; all too often we see people that come to Battersea looking for young dogs, but it can be easy to forget how much work a young dog can be and how much time, work and energy they require. Older dogs, like Daisy, make incredible pets and have a lifetime of love to give. We’d love to see more of our old dogs find the perfect retirement home. What a happy ending to what has been a difficult and disappointing year for this brave girl. Hopefully Santa will be delivering plenty of teddies and treats down the chimney this year! You too could give an older dog a new lease of life. Visit the Battersea Dogs & Cats Home website for more information.